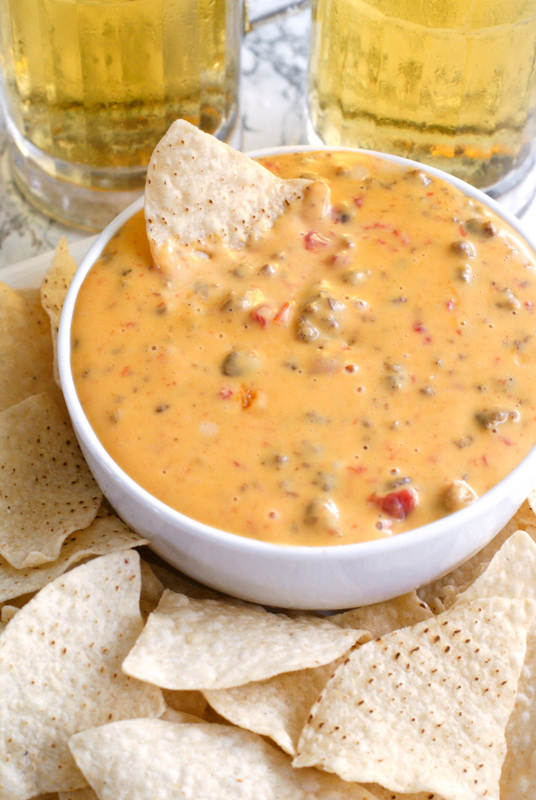 Cindee's Nacho Cheese Sausage Dip is a hot, melty, cheesy, 4-ingredient crock pot appetizer that is perfect for parties! For as long as I can remember, my Step-Mom has been making this dip when we have family gatherings and parties. 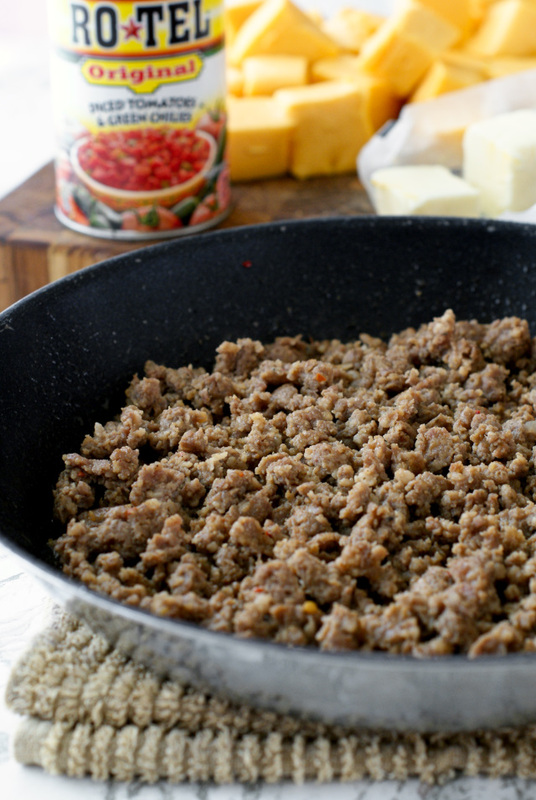 Whenever we hop in the car to head to my Dad and Step-Mom's house, I'm always thinking in the back of my mind, "I hope she made her sausage dip." Lucky for me, I got the recipe in a cookbook that my sister compiled for me as a gift when I got married. 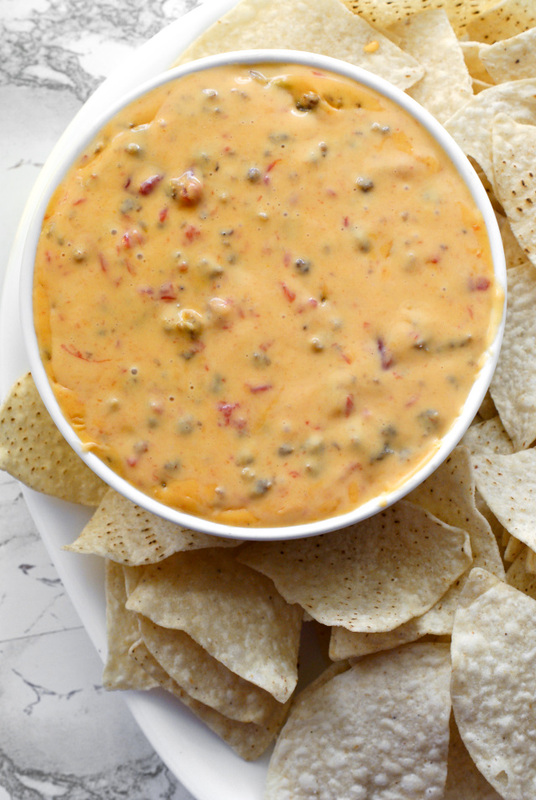 It's full of family submitted recipes, and I think my step-mom knows how much I love this dip because it's one of the ones she shared! With just four ingredients, it doesn't get much easier than this recipe! Seriously, you just brown the sausage then throw everything in the crock pot. A few hours on low and a few stirs later and bam, it's ready for dipping! Because it's so easy to make, it is perfect for gatherings where you don't want to spend a ton of time prepping, but still need to serve a crowd. Even if you decide to make this for a small gathering and you have leftovers, my Step-Mom noted that the leftovers are good in your morning omelette or in quesadillas! Yes! Want to know what my very very favorite thing about this recipe is? It's when the cheese on the sides of the crock pot gets all browned burned. I literally take a knife and scrape the edges of the pot to get the burnt cheese. Then I devour it. Don't you judge me, Earl. Burnt cheese rules. If you're looking for more dip ideas, be sure to check out the Appetizers section of my blog! 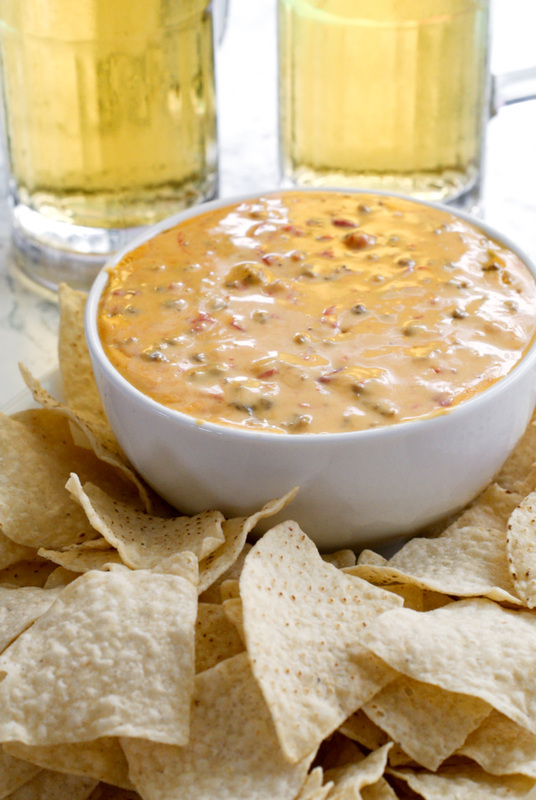 Scroll down on the App page and you'll see a whole collection of party perfect dips. If you like Velveeta, sausage, and seriously addictive dip in general, well then look no further! This dip is for you! Enjoy! Put all of the ingredients into your slow cooker, cover, and cook on low for 1-2 hours until hot and bubbly. Serve with tortilla chips for dipping. Leftovers are great in omelettes, scrambled eggs, or quesadillas! Source: I got this recipe from my step-mom, Cindee. I've made this ingrediablly delicious dip before, but never added butter, what does the butter do? I also add 1 additional can of regular diced tomatoes, so it's not to spicy for the little kids. Looks amazing! Going to make it for a family christmas party today! What size can of Rotel tomatoes? One 10 oz can. I hope you love it as much as we do! Im sure we will! Its in the Crock now:) Thanks! Update on our party....your recipe was THE hit of the party! Even had a niece ask for the recipe and told me that it was the best cheese dip they every had! Thanks again!